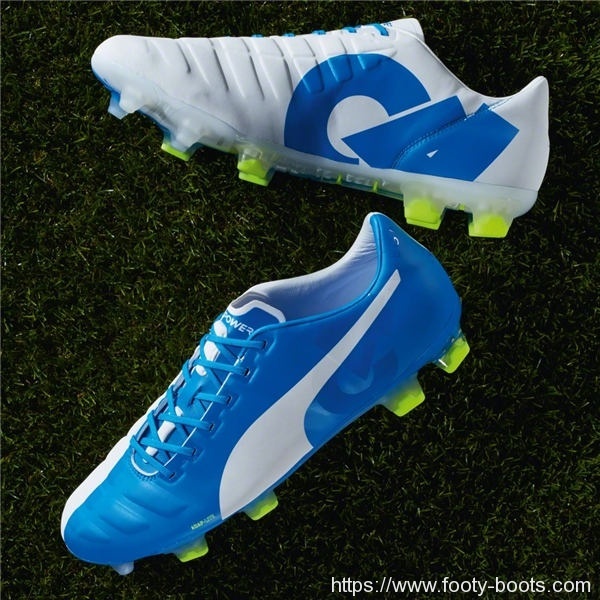 Following on from the hot limited edition release football boots for Mario Balotelli and Marco Reus over the last two months, PUMA kicked off January in considerable style with a fresh LE: the PUMA evoPOWER 1 – Cesc Fabregas Tricks. 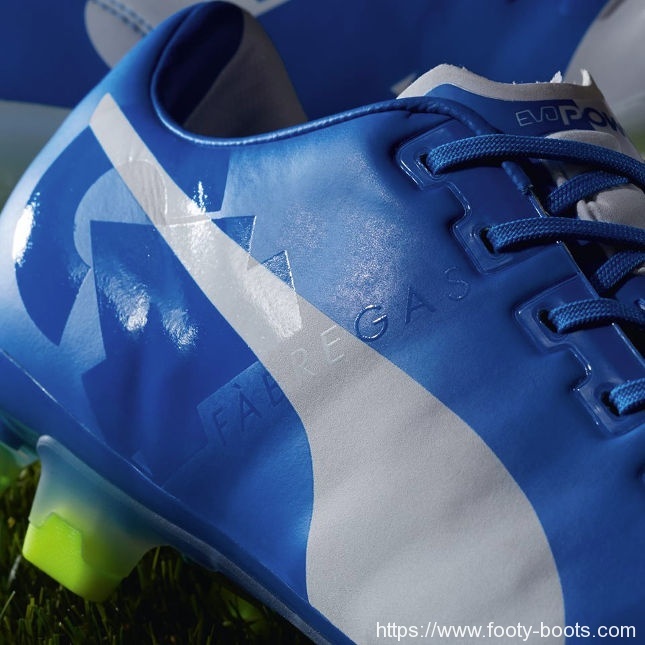 As the name implies, these cleats are made with Chelsea midfielder Fabregas in mind, and are packing a few unique details that truly make these shoes all about the World Cup and European Championship winner. For starters, there’s the colour. 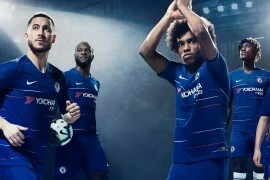 At the request of the man himself, the colour is an extension of the famous Chelsea kit. 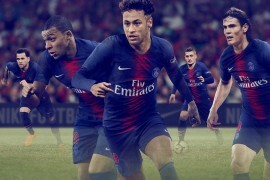 Cesc told PUMA’s designers that his boots ‘shouldn’t stand out more than his game’, and that he always strives to be a successful part of a team, rather than it’s star. 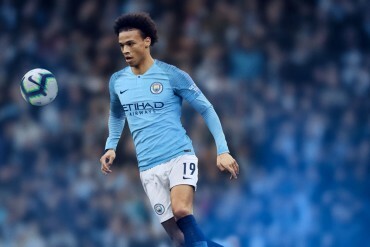 As such, thePUMA Tricks ‘split’ design is kept, but in Chelsea blue and white, creating a seamless transition between kit and boot when playing at Stamford Bridge. 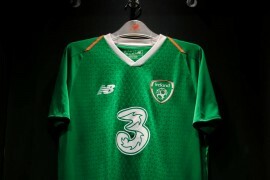 Additionally, PUMA have kitted out the profile and instep with the matching ‘C4′ branding, creating a bold call-out for Cesc’s initial and his shirt number. Not only does this match Fabregas’ ambition of his boots and gameday wear matching up, but it also allowed PUMA’s design team to have a little more fun in the details. 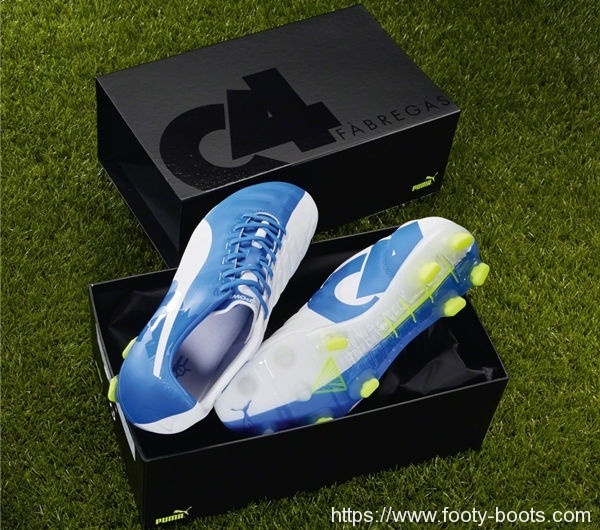 As well as the embossed ‘Fabregas’ call-outs across the boots, C4 is – of course – a demolition-grade explosive. 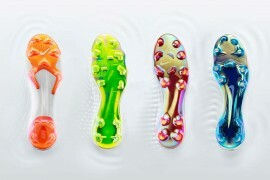 With the PUMA evoPOWER itself being a weapon of goalmouth devastation, it only seems fitting for some ‘explosive’ warning signs on the heel and soul of the boot. 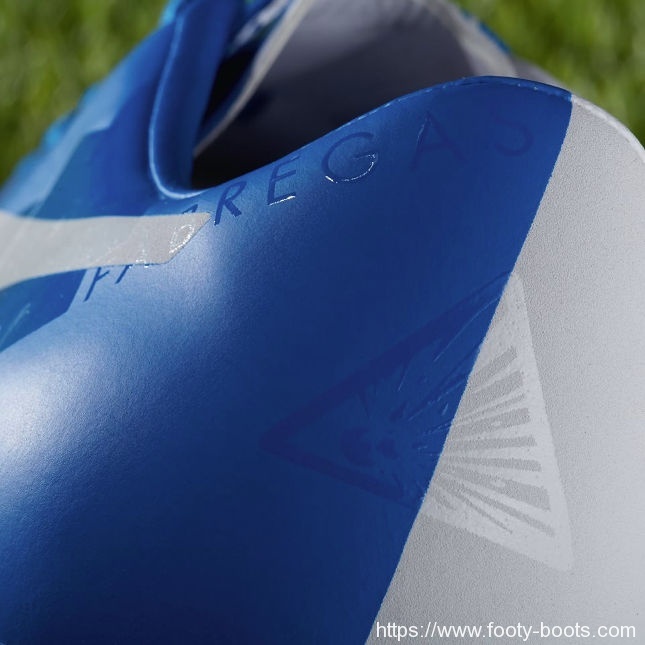 Fabregas – as with Balotelli – is only scheduled to wear these football boots for one game: the New Year’s Day clash with Tottenham Hotspur. And whilst the game didn’t go Cesc & Co’s way, there can be no disputing both Cesc’ contribution and the entertainment value of one of the games of the season so far. If you want to buy a pair there are 400 pairs in the wild, available from selected retailers. 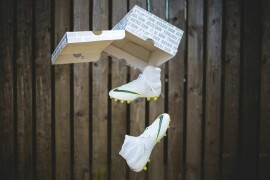 What do you think of the PUMA evoPOWER 1 – Cesc Fabregas Tricks?